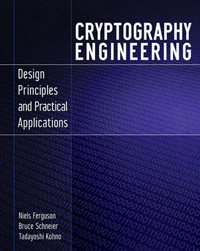 “The world is full of bad security systems designed by people who have read Applied Cryptography.” Cryptography Engineering could have the same effect. As a fun exercise I wanted to know how to build an RSA private key file from scratch. It turned out that it was not complicated. In fact it was very educational to learn about the PKCS #1 and X.609 standards. By the end of this post you should be able to read DER files without the openssl command, too.